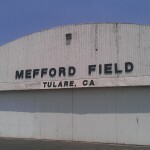 A few months ago, on a uncontrolled field tour, I landed at Mefford Field (TLR) in Tulare, CA for the first time. On a tour I like to take a quick picture of something on the field and then pop right back up into the air and on to the next field. 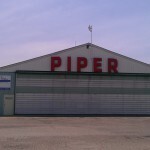 At Mefford I saw an older looking Piper dealership/service center that seemed worth a second look. I did take a snapshot form the cockpit, but it really didn’t turn out at all. So yesterday I hopped in the plane to check it out. I say “hopped,” but it actually took a little doing. I left my EFB at home and had to go back for it, then I needed to get some air in the tires, and finally get an IFR climb out of Santa Monica to get through the marine layer that’s been hanging around all July. But, more or less, I hopped in the plane. 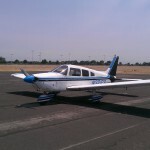 Once I hopped successfully, it was an hour and a half of flying to get out to Tulare. There’s always something to see. Yesterday I flew over a fellow doing aerobatics near Fillmore, a little bit of cloud cover and convection in the Gorman area, and through the haze and smoke from a wildfire to the north. It was nowhere nearby, but the Central Valley traps the smoke. 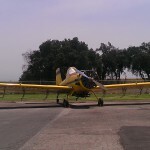 Then into the pattern and onto the ground. There was a helicopter in pattern the whole time I was there – about a half an hour – but that was it. The field was basically deserted, but the Golden State Highway (the 99) was packed with people passing the field by. It made for a wistful atmosphere. 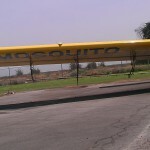 I tied the plane down and poked around. 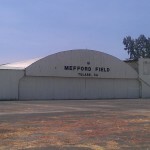 In addition to the dealership, I found an old hangar, a pair of aircraft on static display as war memorials, and several aviation businesses. 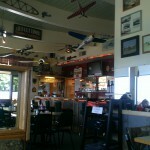 I got the impression that TLR is a working airport, and I was here after hours. 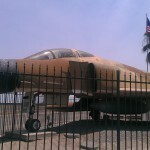 Someone’s warbird. An SNJ-5 as I recall from the tail. 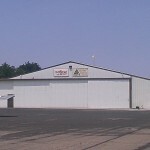 A hangar off the present airport. Looks great, but deserted. 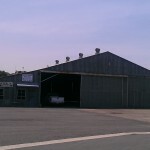 A little closer on the hangar. 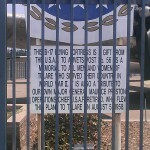 The dedication and description of the memorial. Kind of hard to read through the bars and other chains keeping people back. 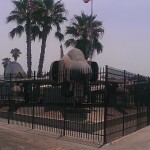 I hope it’s more open during the week, but I wasn’t going to climb the fence on a memorial to get a better image. 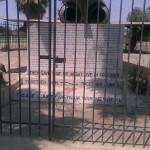 This is the dedication on the B-17 next to the F-4. 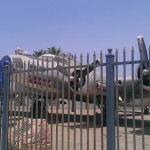 The B-17 is a WWII memorial, and similarly fenced off. 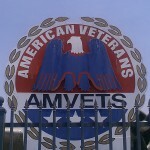 You can see the AMVETS seal pretty well. 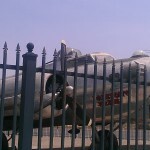 Here’s a look at the B-17 itself. 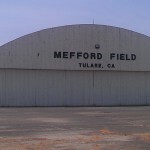 Here’s a helicopter training school also on the field. I believe that the fellows in the pattern were from here. 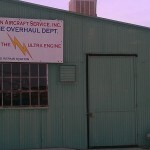 The Piper dealer that brought me out: Johnston Aircraft Service. The thumbnail trims some of the interesting parts off. 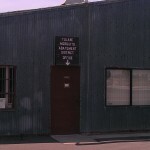 Johnston is the home of the Ultra Engine. 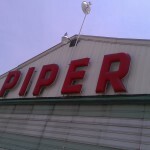 That excellent Piper sign again. 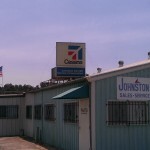 Johnston also sells Cessna equipment. 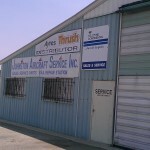 This is the Parts Department entrance. 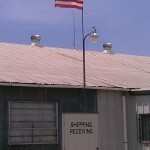 The Mosquito Abatement Office. “Abatement” was apparently too long for the wing. 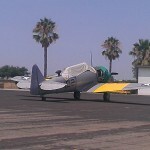 My plane at TLR. It always looks good to me. 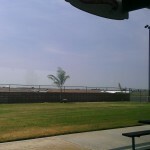 After spending a half an hour or so walking around and taking pictures, I popped over to Porterville Airport (PTV) for lunch at the Airway Cafe. 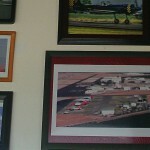 The Airway Cafe is a great airport cafe, and I’m always happy to get a chance to stop by. 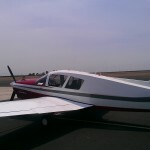 After lunch, I popped back up to Santa Monica – enjoying another hour and a half of flying. In some sense, it’s strange to spend all that time for a few pictures of airport buildings. I think it’s a great way to spend a Saturday. You Don’t Know Me But You Don’t Like Me is kind of hard to get a handle on. It’s not quite the sort of travelogue that it seems like it might me from the title/blurb. Nathan Rabin does take us on a tour of both Phish sub-culture and Insane Clown Posse sub-culture with interviews and first person accounts, but somehow neither the bands nor the fans take center stage for long. It’s not completely a memoir, because the whole narrative is viewed from the viewpoints that these sub-cultures come to represent. It’s a strange book to put a label on. It’s also a difficult book to put down. Rabin underwent a reluctant transformation during the time he put this thing together, and those personal experiences are the core of the book. This is the kind of transformation that ends with “and what the hell’s coming next?” not “and we all had a good laugh looking back.” Rabin does an excellent job telling his story honestly, neither trivializing the small personal moments nor generalizing for false universality. While I think many people will be able to relate to his journey, it is very much his journey. Rabin’s writing supports this unusual narrative. When he is introspective and analytical about what he has experienced, his thoughts are clear on the page. When he’s spinning a yarn that happened to him on a Greyhound somewhere his descriptions are vivid and memorable. Both of these make the story work. Overall, an unlikely melange of memoir and reporting that is intelligent, diverting, and honest. You are currently browsing the Walking on the Moon weblog archives for July, 2013.